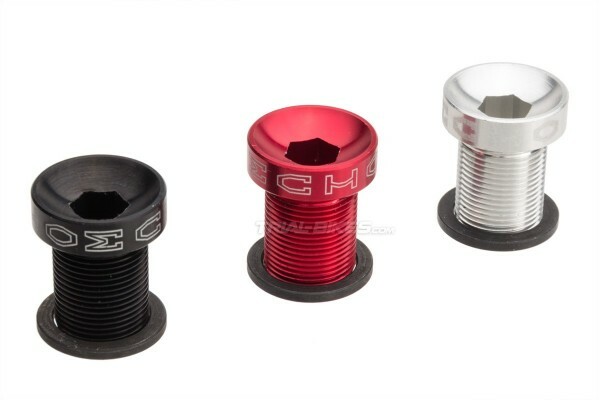 - New ultra light crank bolts from Asian manufacturer Echo. - Made from high quality 7075-T6 aluminium alloy, which is considerably lighter than traditional steel bolts. - Standard M15 thread, suitable for most ISIS bottom brackets. - Exclusive Echo design, with an 8mm-deep head that allows for an easier, safer adjustment. - Note: the Echo crank bolts are made from aluminium, so they must not be used to set up the cranks. Any steel bolts will be fine for this. 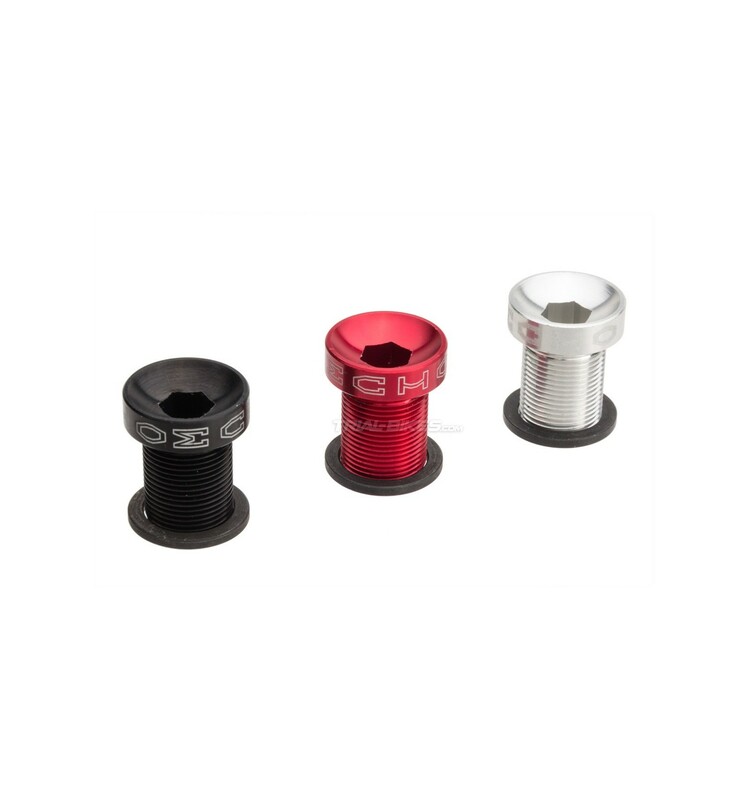 Once the cranks are tight, you can replace the steel bolts by the Echo SL aluminium bolts. - Requires an 8mm Allen key. 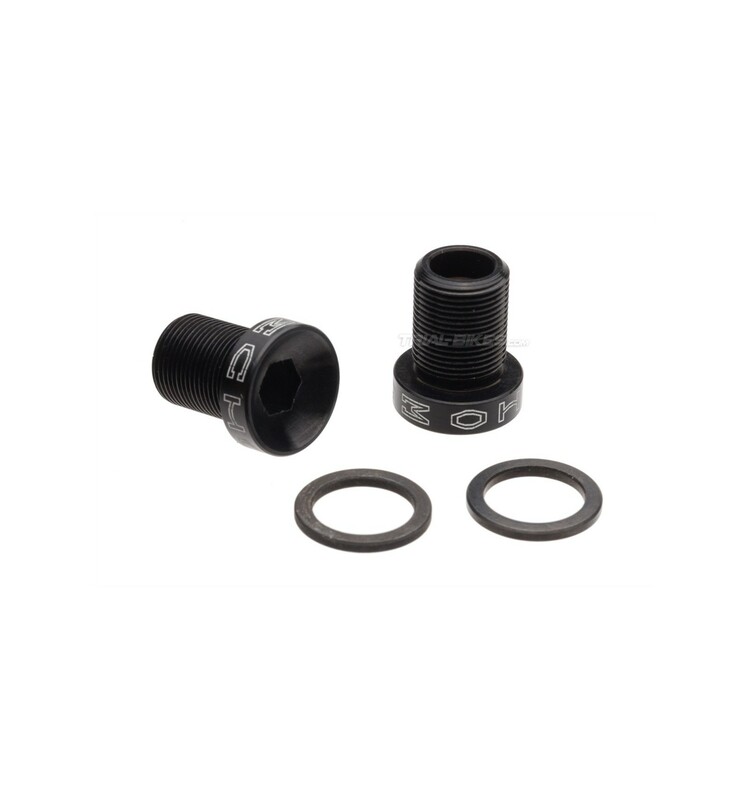 - Always use supplied washers to avoid any damage to the head of the bolt. - 3 finishes available: anodized red, black or silver. - Sold as a pair (2 units).